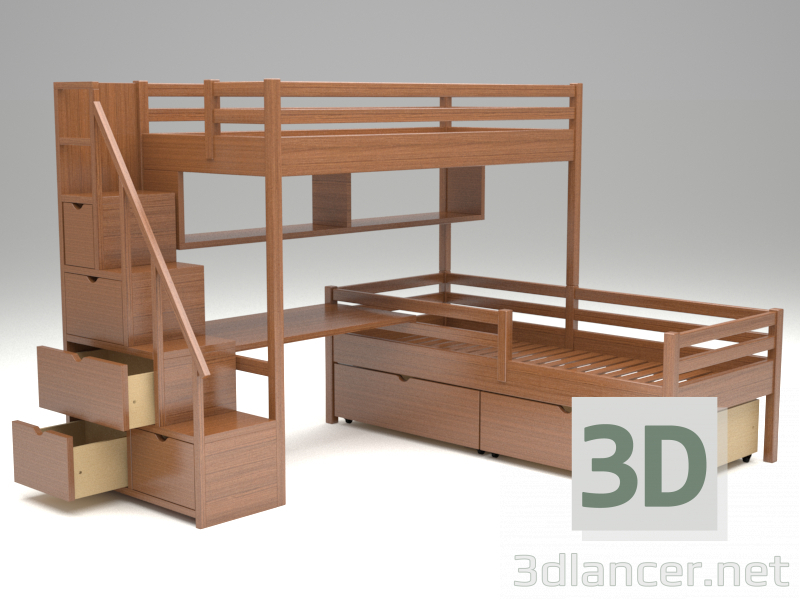 The children's bunk bed from the massif of a tree (a pine, an oak, a beech, a birch) has a strong design, supplied with safe sides and a convenient ladder. Steps have drawers. The bed is designed for a mattress 1900x800mm (suitable for both children and adults).